Unique delta-fins maximize heat transfer; ultra-low pressure drop. 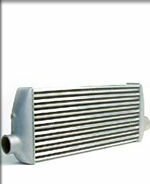 GT Intercoolers use a highly efficient delta-fin core design specifically engineered for front-mount applications. 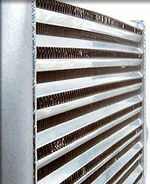 Staggered inner-fins also provide considerably more cooling than non-staggered designs. Pressure drop is kept to a minimum on the GT Intercoolers.